1814 are hitting the road again this Summer with special guests in each town. After a few months break to rest and recharge the batteries, the group are hitting the road with all of your favourite songs off their three studio albums; 'Jah Rydem', 'Covers' and 'Relax.' In addition to their summer anthems the band have been busy with a whole new set and learning some new covers too. 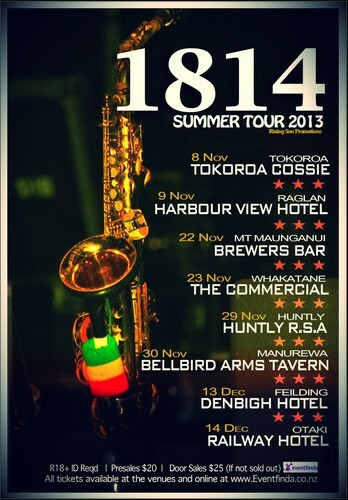 Don't miss one of New Zealand's most loved reggae bands on tour now!